Kristy M. Ayala, M.A.Kristy M. Ayala, M.A. Thank you so much for joining my Member's Area. Click to receive your Free Meditation Download and a Special Price on a 30 Minute Intuitive Reading. Become a Member of my community where I share Inspiration, Information, and Ways to Work Together. Receive a Free Deep Relaxation & Renewal Instant Download Meditation + a Member's Only Special when you join. I'm an author, speaker, integrative intuitive counselor, and life coach. I’m passionate about helping people maximize their best potential, experience more joy and happiness, and participate in work that makes their heart sing. I would love to work with you if you're ready to bring positive change into your life. 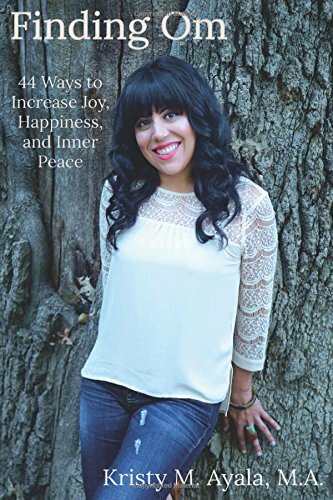 Whether you desire to make changes within physical, emotional, or spiritual areas of your life, this book will support you in implementing positive change as you continue upon your personal path of peace. This book provides information, tools, and methods which can be easily applied to your day to day life; supporting you in increasing your personal joy, happiness, and life satisfaction. After working with a large cross section of professional clients since 2000, Kristy has watched people transform their lives for the better by implementing simple yet effective changes over time. This book includes some of the tools that she has used with her clients. Kristy’s hope is that the reader will find ways to incorporate some of these tools within their own life, allowing them to move in the direction which matches their personal vision of happiness and peace. This book shares insight, support, and guidance from the Archangels on a variety of topics including; Life Purpose, Spiritual Growth, Releasing The Old and Making Room for the New, and much more. You will also learn information about the Archangels, including who they are and their different areas of specialization. This book will support you in opening up to the Archangels while simultaneously fostering and nurturing your own personal connection with these angels. 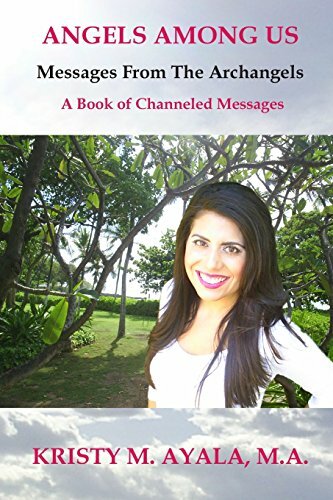 This book has easy to understand charts, activities, and meditations which will help you to build a personal bridge of connection and interaction with the Archangel realm. This book will offer support and guidance to those who are new to working with the angels as well as those who have been connecting and working with them for many years.